Throw your child a rocking birthday party when you spice it up with entertainers who can lead dance parties in New York. This is your one-stop guide to childrens dance parties in NY - whether for a sweet sixteen or for your preschooler, there are many types of dance parties available. Plan a wonderful children's party and let Applause make it an exciting event where everyone can have a great time. 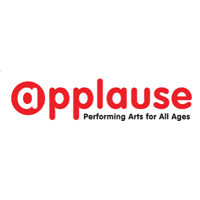 Applause can provide a spectacular dance party for any occasion here in New York and will make the event a fun filled event complete with a great performance and the enjoyment of the kids. Book your reservations and contact Applause. They will be sure to make your children's party a spectacular event. Great Dance Party By Downtown Dance Factory! Have a dance party for your kids here in New York and let Downtown Dance Factory make that event a success where everyone can enjoy dancing a have a great time. They offer dance classes and other party needs and will make sure that the event will go smoothly as planned. Have an amazing dance party and let Downtown Dance Factory help you in planning and organizing the event. Book your reservations and contact them through email or by phone. A Great Performance At An Amazing Party! 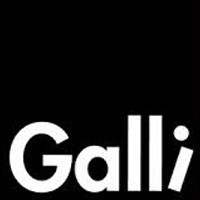 Plan a wonderful children's party here in New York with Galli's Fairytale Theater. They will plan an event where your children can be part of a play like a theatre performance and do some amazing performances like dancing or acting. With their experience in party planning and organizing, Galli's Fairytale Theater knows the best way possible to make an event fun and exciting for everyone to enjoy. So contact Galli's Fairytale Theater and let them make your kid's dance party a wonderful and fun filled event. A Wonderful Dance Party Here In New York! Make your children's dance party a wonderful event where you can see your kids have a great time and let Hollywood Pop Gallery plan-out the event. They will definitely provide the best children's party for your kids to enjoy and will provide the dance instructors to teach some amazing dance moves to the kids for them to have a great performance at the party. So have a party with Hollywood Pop Gallery and let them make your event a wonderful event that everyone can enjoy. A Dance Party That Kids Can Enjoy! 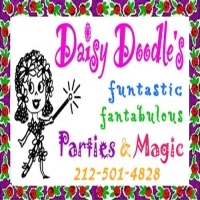 Have a fun children's party here in New York and let Daisy Doodle teach the kids how to dance gracefully and with style at the party. Daisy Doodle will make sure that they provide the best entertainment for the party making sure that the kids will have fun dancing and will be able to perform wonderfully at the event. Plan a dance party for your kids and let Daisy Doodle make the party a successful event. 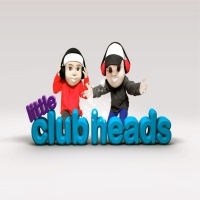 Exciting Dance Party From Little Club Heads! Let your children's party be a fun and memorable experience for your kids. Have Little Club Heads plan-out the party and provide the entertainment. They will make sure that the event will be a spectacular occasion filled with great music that everyone will be dancing to. Among the best party planners here in New York, Little Club Heads will make sure that the party will be a blast. Plan your children's dance party and let Little Club Heads organize the event. You will be sure to be satisfied with the results. Bollywood Party Here In New York! Have an amazing children's party here in New York where everyone enjoys dancing and having a great time. 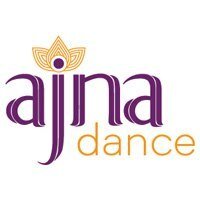 Ajna Dance Company is the perfect choice to have someone plan a Bollywood dance party for your kids. They will teach the kids how to dance Bollywood style and will make sure that their performance at the event will be graceful and vibrant. Plan that Bollywood themed party for your kids here in New York and let Ajna Dance Company make the event a wonderful celebration for everyone to enjoy. 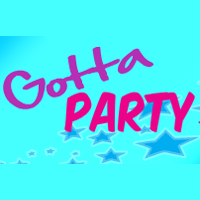 Party Hard With Gotta Party Kids Entertainment Inc! Have a spectacular children's dance party here in New York and let Gotta Party Kids Entertainment Inc provide their party planning services. Among the best party planners around, Gotta Party Kids Entertainment Inc provides a unique experience in throwing a party. They will make sure that the event will be lively filled with great music where everyone is dancing. Plan that dance party and let Gotta Party Kids Entertainment Inc provide their services. They will be more than happy to accommodate you in your needs in having a spectacular party. A Memorable Dance Party For Your Kids To Enjoy! Let your children's party be a fun and healthy experience for your kids where they can dance in style and at the same time stay fit. 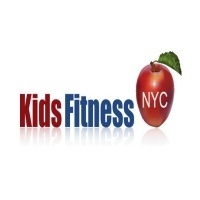 Kids Fitness NYC offers to provide party planning services here in New York, making sure that the event will be a fun and smooth experience for everyone to have fun and enjoy. Plan a dance party and let Kids Fitness NYC make your spectacular celebration a memorable experience for everyone.